Gutters seem rather inconsequential in comparison to the rest of a home’s features. We know they are important, and what they do, but people rarely stop to think about them. The idea that we should bother cleaning them out more than once a year seems unnecessary, especially since the generally accepted timeframe is autumn when trees shed their leaves in preparation for winter. However, year-round gutter cleaning Chicago is very important in Chicago, where we see vastly different weather conditions every season, from harsh blizzards to extremely wet springs. The best way to preempt issues with your roof and gutters is to take proper care of them, and in doing so you will be protecting the investment that is your home. There are many reasons why year-round gutter cleaning Chicago is beneficial. For one, the debris that gathers over time, such as leaves, sticks, dirt and mold, can all become nice homes for small rodents and insects. Furthermore, if enough dirt and muck has accumulated, seedlings can even begin to grow. In the fall there is plenty of debris in the air, so it is understandable that our gutters get clogged, but in Chicago spring, summer, and winter pose threats as well. 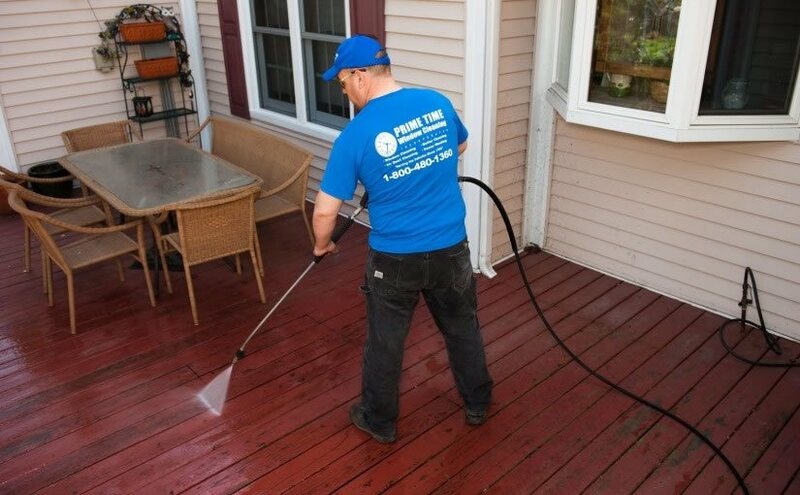 Springtime is very often wet and rainy, and if your gutters are bogged down with old debris, or fresh seeds, flowers, and pollen, rainwater can wash over the edges, damage your walkways, and even seep into your basement. This same issue can arise during the summer months, as well. When your gutters are blocked during the winter, it can lead to the formation of ice dams. Ice dams are when water that has been trapped in your gutters freezes and expands, thereby slipping underneath your shingles. When the ice melts, water damage to your roof is unavoidable. During an unexpected thaw, water can also fall onto your walkway and refreeze, becoming a safety hazard. 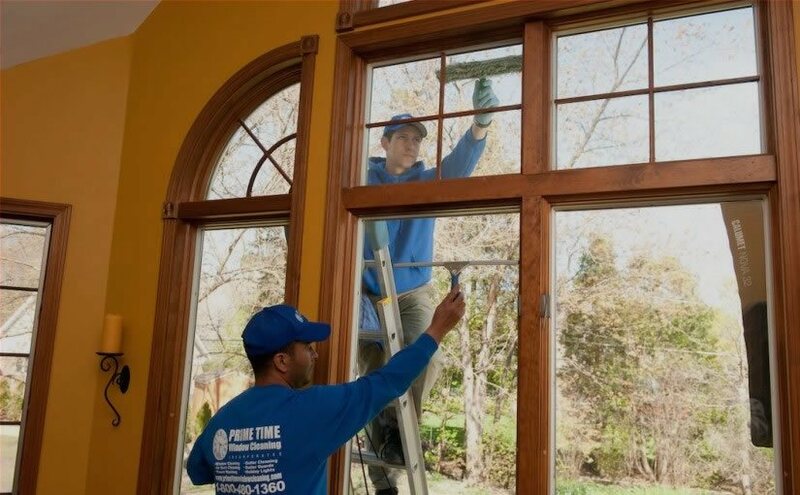 Prime Time Window Cleaning is a company that has been serving Chicago residents for over twenty years. When you call on us for year-round gutter cleaning, we will remove all the debris by hand and disposes of it for you. Our goal is to make certain your gutters can do their job properly and guard your home against changing weather conditions. Gutter maintenance is just one of many jobs we do, as we are dedicated to keeping your home beautiful and well cared for. To set up a gutter cleaning Chicago appointment today, call us at 1-800-480-1360.